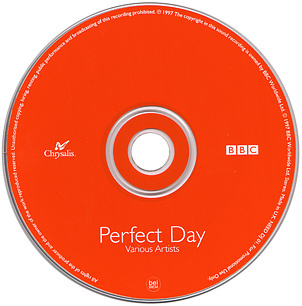 Perfect Day '97/Perfect Day '97 (Male Version). 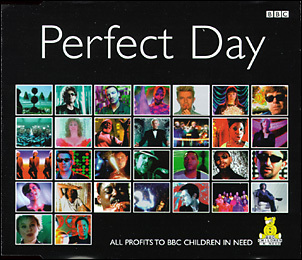 Perfect Day/Perfect Day (Female Version)/Perfect Day (Male Version)/Perfect Day (BBC Live Music Singalong Version)/Beat This! 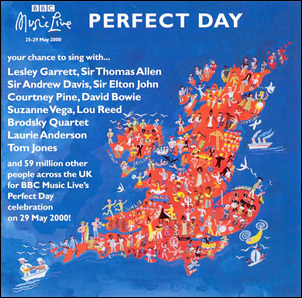 Reissued for the occasion of the BBC Music Live festival, with an added instrumental version. 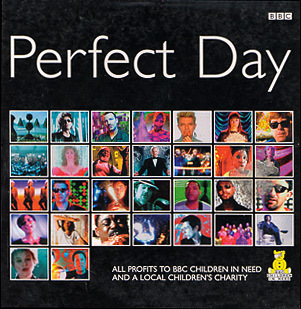 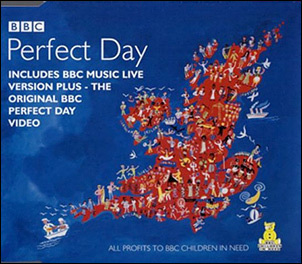 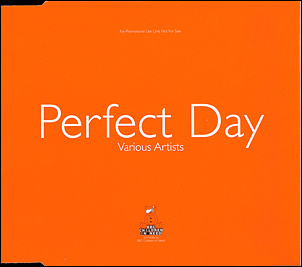 Perfect Day (BBC Live Music Singalong Version)/Perfect Day (Full Version)/Perfect Day (Female Version)/Perfect Day (Male Version)/Perfect Day (Video).